Are you among those that are having issues with Npower OTP code Number Validation for npower final list candidates via npvn.npower.gov.ng? We’ll show you how npower OTP number can be validated online, and almost everything you need to know about Npower. We have made sure to explain in details all the process you should follow to check need to follow to make sure your name is seen on npower beneficiaries final list. Note This: Npower final list came out on the 23rd of April 2018, however so many candidates are having issues with the otp code. Below, we’ll explain what an Npower Otp code is and how to get the validation/activation code. You need to read this very carefully so you can know what an npower otp code is, and even the possible ways to get the code. Before we start showing you how to check, and get your npower otp number, we’d want you to first note the under-listed things carefully. 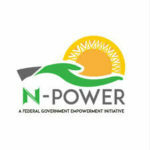 Npower Programme is free, you are not supposed to pay to anyone’s account to get shortlisted for deployment. Warning: Do not expose your Npower is OTP code to public. Kindly make sure you keep your number save, don’t allow unwanted persons to have access to your npower otp number. If you allow someone, he/she may end up getting your code deleted from your phone or your email address. So you have to put in more effort in properly securing your account. you are not to allow anyone to sccess your code without your notice. Let’s move on and show you how to check your npower otp code on your mobile phone or email address. When will Npower start paying us the final batch for 2017/2018 that is those that dust finished our upload on Dec., 2018. I have applied for the N-Tech 2017 and I took the online test. I received message from Npower to check but the portal denied knowing my information. Each time I check, what can I do? PLS WHEN WILL NPOWER START PAYING US? I was sent a message to login to Npower website ,I can’t continue because I was ask to provide otp,which I av tried several times.pls help me out. Pls my aunty lost her email details and she is unable to retrieve the email. She cant even access the code through ussd code. Please I’m still having problem getting my otp,what can I do? There isn’t specific time stipulated as to when OTP validation ends. But keep on trying. It is a misfortune for us maybe Npower have ruled us out so let us hope for something else. Do u know someone and someone know somebody i:e 9ja connect. since the posting list is out when am l going to be posted. OTP validation failed is really a problem for me, please what is the solutions? i still cannot valid otp. please what can i do? I have problem with my OTP validation failed please what should l do? Same problem as above otp validation failed what’s the way forward please. Same problems as above. OTP validation failed. What’s the way forward please. Please Sir I continue to retrieve otp code with validation failed message. What should be my next move? I have received the OTP code each time I enter my phone number . my problem is that I can’t continue after entering the OTP : saying error OTP validation fail or dismiss. please I need help. I have received OTP code several times and I have login in with it but I cannot upload my passport and Identification card, then I also tired dailing *347*5*88# is not working out. please I need your help. It seems when OTP validation failed, this means we are opted out! Kindly notify the masses on Social Media that we’ve been dismissed! If no, then, what is the next step! I have try all the methods still giving me otp validation failed. what can I do again please help me. I have gotten the OTP number but have tried several times and it keep telling me Error otp validation failed. please what should I do? because I cannot move forward from there. Good day,I don’t know why this program is too difficult to applied? The same problem I went through when applying for this program. Please I can’t access the site! I the otp *347*5*88# nothing happened. Please help me sir/ma. when the registration of npower begins my number and email address was for my friend and other details is for me. I have check the final list and I have uploaded my passport and national I.d card. my question is can I change the number to mine if yes how do I do that?? I succesfully done the necessary requirement but no message is sent to me after the congratulatory message of getting qualify. Pls post us for our primary assignment. Pls i have used all formulas both *347*5*88# to see my otp but i couldn’t see it. What next will i do? Plz sir/ma, After i got my OTP code is reply me error OTP validation fallied plz what can i do to solved the problem? Pls Admin the *347*5*88# is not working for me. What’s the next step to take? I am short listed but I lost my otp number and the year used, however the mistake is from the person registered me. And I wanted to scan my I’d I can’t pleased I need helped thanks. I have already got my OTP.but since three days ago i can’t access my portal to upload my passport and identification card.what can I do ? I have already got my OPT,but since three days ago i can’t access my portal to upload my passport and identification card.what can I do ? Pls I have tried several otp code but none was going I am stocked here. What do I do. i have gotten my otp codes,have changed my password but have not been able to move to the next stage.all i see is “sign-in succesful!”after that no next or continue for the past 3-days.pls i need help on how to move forward from here.thank you. Please, i need help about otp code. have try the code several time. Good evening sir, I tried login in to update my profile, after typing my number they are asking me of password. I don’t understand what password they are asking me of. Plz help me. Everybody needs help now, when they start to pay you guys, nobody will post say him no sabi how to spend money…. Pls I have gotten my OTP code,used it but can’t upload my passport and Id card. So what can I do pls. Thanks. I have not received any message yet but have tried to check if my name was shortlisted and is not showing any thing, pls help me. Pls help and allow me to upload my passport and ID card. Due to mistake I made during final registration. Please sir, I have change the OTP code and generate my own code but when I wanted to log in my password it’s telling me wrong password pls sir,there should be room to change password, thanks. I have issues in getting opt,dey keep telling unfinished,,,,,, why. i have also being trying to get my otp number through my phone using the code as directed and also i have followed the procedure using the site still yet is not working. what will i do? Up till now that is the response am getting , what should I do? I tried using the code with my phone number I registered with but showing “request not completed” my name is OMINI EDUKPON UBI. thanks. I got my top code and have login but I am enable to upload my profile picture and I’d card, so what can I do? Pls I need help. OTP has been sent to the email/phone number associated with this account. pls sir, how can I get to the site? I could not access even the portal to check my status. please help me. I have been trying to get my OTP code but I’m yet to receive it. I have been try to check my otp code since yesterday but I don’t get it I have try the code that provides for us to use still the same, please help me out. Please sir/ma,i couldn’t login any of the code I have received it’s showing validation error please what should I do? am a successful candidate through an sms sent to me and was directed to the next level of which i input my phone no used during the registration but i cant access the next page after i av input my OTP number. it shows error to retrieve. Please, i have received the OTP but i’m having problem with the validation, they keep telling me error, validation failed, what should i do? All wat u nid 2do is 2go 2 cafe,so dat d can chek it 4 u as i did my own nd my name appeared. please my photo have Not be shown on my profile, please what next? Request for it to be sent to you via online if delayed in getting it through your phone. That’s how i did mine and i can get into my profile easily with my password. There’s no difficulty in it. Success to you. Good day, I have been able to change my pin using the code I got. But I got stuck at the point where I was to upload my passport and ID card. On signing in to do the upload, it took me to my profile which was empty. I have been unable to input data since then or do any thing on the site. Kindly help with the way forward. l have successfully entered my otp, passport and ld card, but I did not see the shortlisted names of successful candidates. what will l do next? Pls i have issue with OTP. I try the code more than several time pls i need help. Pls, Admin, can I update my profile, am having problem with my mobile number. I was assign OTP code but after input error fail dismiss, I can not go further, please what is the way out to solve the issue?